I set off from Sydney with the Think Outside Team, ready to storm Chicago with our fantastic products, classic and new and figured I could gain so much from what I believed to be such a beautiful City. The Trade Fair we attended, IGC Show Chicago, was a fantastic all round event, meeting other designers and people who inspired me from around the world. As always, I was incredibly pleased with the stand and how the event went, not only this, but much to my amusement, the ladies from Ace Homeworks Inc (our new fabulous customers), wanted their photo with me, surreal really! Aside from the show, I managed to take a look around the City, taking particular notice of the incredible buildings, artwork and sculptures. 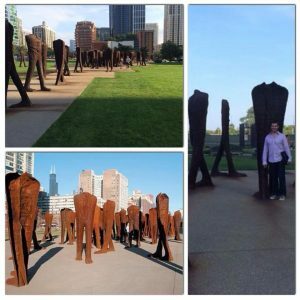 Grant Park was beautiful for this, with the statues and sculptures providing great detail, including ‘Agora‘. 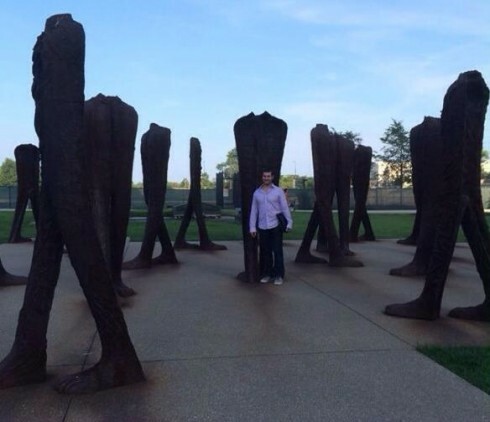 The sculptures are made from cast iron, featuring nine foot tall, torsos posing in different directions. At the entrance of Grant Park stand two incredible statues. As you can see, the Bowman looks like he is holding a weapon, but actually is not. The strength shown on the overall colour and texture of the Bowman is what I loved the most, and I believe really balances the meaning behind this statue. 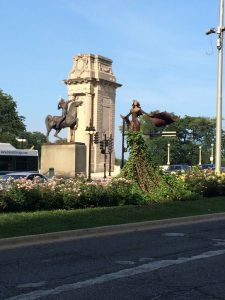 The woman in the wind, which was also at the entrance is another form of beautiful art, showing great artistic culture in Chicago. The Bowman, Grant Park, Chicago. 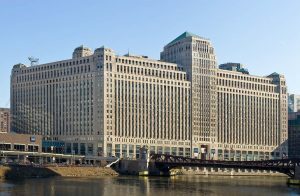 The Merchandise Mart building, where Think Outside’s Chicago showroom is located on Floor 13, has the second biggest floor space of buildings in the whole of America! The other building in the City which particularly stood out was the Chicago Board of Trade, holding powerful art deco sculptures and large-scale stone carvings. Chicago Board of Trade Building.